Need your laundry done? Call (203) 654-3421 and schedule a pickup! 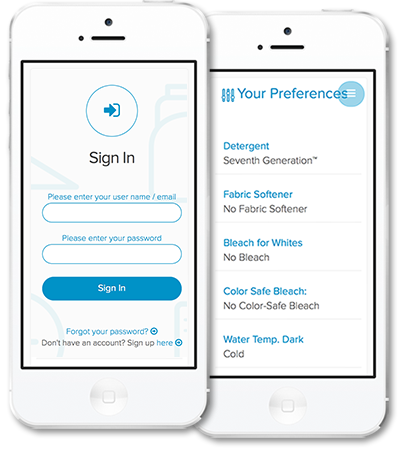 We understand that laundry is personal so tell us exactly how you want yours done. Everything from what soaps and wash temps you like to how your want your socks returned – rolled or folded. No kidding! Crave routine? Tell us when to come and we’ll be there every week. Prefer a bit more flexibility? Use us when you need us. Help for all types of families is just a tap, click or text away. Read a book. Get outside. Play with the kids. Grab a drink with friends. See a movie. We’ll take it from here. Large bedding items are billed on a per-piece basis. Click here for a complete price list. Schedule pickups with a single tap. Manage text and email notifications. Place your account on vacation hold. We’re not just friendly – we’re eco-friendly! Seventh Generation Natural laundry detergent? Of course. Amazing service and amazing customer service! I am amazed at their ability to get my laundry done just how I like it each and every time. We just schedule a pickup and two days after it’s picked up it comes back beautifully folded. We’d be lost without them.